Today’s the day of the big vote! 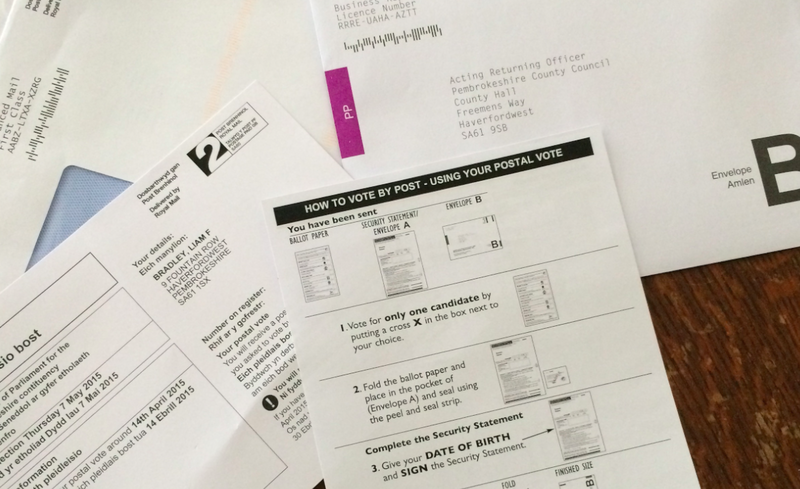 I’ve already voted by post – have you? O God, who arrange all things according to a wonderful design, graciously receive the prayers we pour out to you for our country, that, through the wisdom of its leaders and the integrity of its citizens, harmony and justice may be assured and lasting prosperity come with peace. Through our Lord Jesus Christ, you Son, who lives and reigns with you in the unity of the Holy Spirit, one God, for ever and ever. Amen. This entry was posted in Uncategorized and tagged Election 2015 on May 7, 2015 by stdavidandstpatrick. It’s almost time to vote – this coming Thursday, the nation heads to the ballot box. It is right and good that everybody who is entitled to vote, should indeed vote. The Church actually says that participation in community life is one of the greatest aspirations of the citizen, and that it is self evident that every democracy must be participative. This means that the different subjects of civil community, at every level must be informed, listened to and involved in the exercise of the carried-out functions. 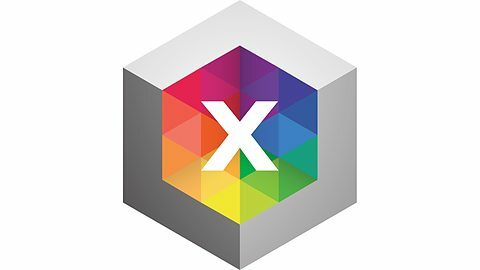 So, given that we should vote, in which box should we each place our ‘X’? We should vote for that party whose policies are, for the greater part, in conformity to the permanent principles of the Church’s social doctrine. But, what exactly are these principles and what do they mean? The dignity of the human person means we should consider every neighbour without exception as another self, taking into account first of all his life and the means necessary for living it with dignity. Do our politicians and political parties do this, are we going to vote for a party which allows the means for all to live with dignity from conception to death, irrespective of any unjust prejudice? The principle of the common good, stems from the dignity, unity and equality of all people. According to its primary and broadly accepted sense, the common good indicates “the sum total of social conditions which allow people, either as groups or as individuals, to reach their fulfilment more fully and more easily”. Just as the moral actions of an individual are accomplished in doing what is good, so too the actions of a society attain their full stature when they bring about the common good. The common good, therefore, can be understood as the social and community dimension of the moral good. Given this principle then, we have to ask ourselves: do the people for whom we wish to vote, want to promote the common good of all society, or are they just interested in promoting individual gain? The universal destination of goods is that principle whereby we acknowledge that God created the earth, and all its contents, for the good use of all mankind. This means that all things should be shared fairly by all under the guidance of justice tempered by charity. Each person must therefore have access to the level of well-being necessary for his full development. This has big implications of social welfare and our tax system. The fundamental question then is: will each person in society have access to the level of well-being necessary for his full development, if I vote for a particular party? From this principle extends the next one, the preferential option for the poor. The principle of the universal destination of goods requires that the poor, the marginalized and in all cases those whose living conditions interfere with their proper growth should be the focus of particular concern. St John Paul II said: “Today, given the worldwide dimension which the social question has assumed, this love of preference for the poor, and the decisions which it inspires in us, cannot but embrace the immense multitudes of the hungry, the needy, the homeless, those without health care and, above all, those without hope of a better future.” A sentiment which has been echoed may times by Pope Francis. This principle should come to mind when we think of issues surrounding overseas aid, domestic welfare and social housing. Likewise too, we need to consider healthcare offered by the NHS and education in our schooling system which many of us couldn’t possibly hope to afford. The principle of subsidiarity was first described by Pope Leo XIII in the Church’s first social encyclical. It is a principle which states that lower level decisions should be made at a local level, without interference form above. Therefore it follows that families can make decisions about themselves, local councils can decide solutions for local issues, and so forth. The principle of subsidiarity protects people from abuses by higher-level social authority and calls on these same authorities to help individuals and intermediate groups to fulfil their duties. This principle is imperative because every person, family and intermediate group has something original to offer to the community. Experience shows that the denial of subsidiarity, or its limitation in the name of an alleged democratization or equality of all members of society, limits and sometimes even destroys the spirit of freedom and initiative. This would invite us to question each party to see where they stand on local issues. Furthermore we should ask will each party devolve the right amount of responsibility to a local level to make it the most effective? Or, should we be concerned that a possible future government will draw all power to itself to satisfy its own ends? With this principle comes too the responsibility to participate in an effective and meaningful way in the level of society in which we find ourselves. Participation is a principle which is expressed essentially in a series of activities by means of which the citizen, either as an individual or in association with others, whether directly or through representation, contributes to the cultural, economic, political and social life of the civil community to which he belongs. It is this principle which means we should vote, and contribute in other ways too, to the building of a better society. Finally we have the principle of solidarity. Solidarity highlights the intrinsic social nature of the human person, the equality of all in dignity and rights and the common path of individuals and peoples towards an ever more committed unity. Solidarity is also an authentic moral virtue, not a “feeling of vague compassion or shallow distress at the misfortunes of so many people, both near and far. On the contrary, it is a firm and persevering determination to commit oneself to the common good. That is to say to the good of all and of each individual, because we are all really responsible for all”. To put some practical bones on these rather academic words, the bishops of England and Wales have made a series of video clips. I would encourage you to watch as many of them as you can. On Thursday, make the right choice, choose the government which you think will best further these principles. Cf. John XXIII, Encyclical Letter Pacem in Terris: AAS 55 (1963), 278. Cf. John Paul II, Encyclical Letter Centesimus Annus, 46: AAS 83 (1991), 850-851. Pontifical Council for Justice and Peace, Compendium of the Social Doctrine of the Church, 190: Libreria Editrice Vaticana (2004), 108. Second Vatican Ecumenical Council, Pastoral Constitution on the Church in the Modern World Gaudium et Spes, 27: AAS 58 (1966), 1047. Cf Pontifical Council for Justice and Peace, Compendium of the Social Doctrine of the Church, 164: Libreria Editrice Vaticana (2004), 93. Ibid., Gaudium et Spes, 69. John Paul II, Encyclical Letter Sollicitudo Rei Socialis, 42: AAS 80 (1988), 572-573. Leo XIII, Encyclical Letter, Rerum Novarum: Acta Leonis XIII, 11 (1892), 101-102, 123. Ibid., Compendium of the Social Doctrine of the Church, 187. Ibid., Gaudium et Spes, 75. Ibid., Sollicitudo Rei Socialis, 38. This entry was posted in Uncategorized and tagged Election 2015 on May 4, 2015 by stdavidandstpatrick. Election 2015 – How will you vote? Look on this page to see the latest news, and to view updates from the Bishops’ Conference of England and Wales. This entry was posted in Uncategorized and tagged Election 2015 on February 25, 2015 by stdavidandstpatrick.